Many people have visited Chek Jawa at Pulau Ubin. 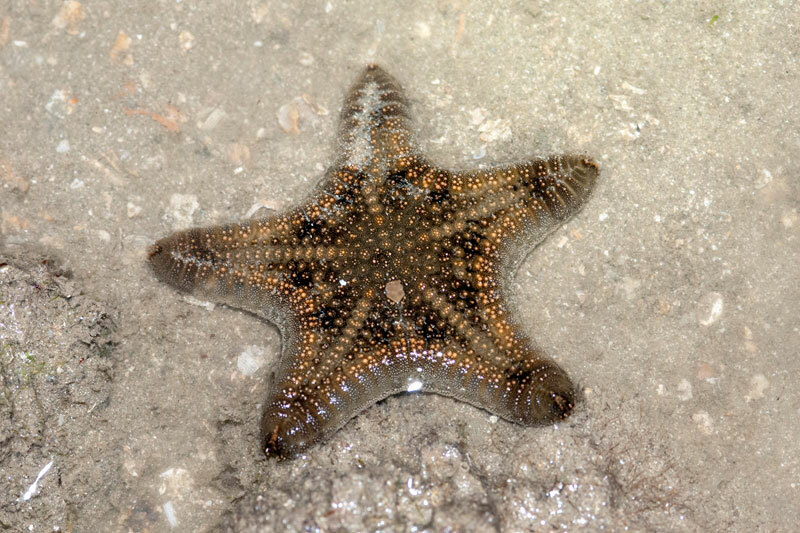 Be it taking a walk on the boardwalk or joining intertidal guided walks organised by NParks. 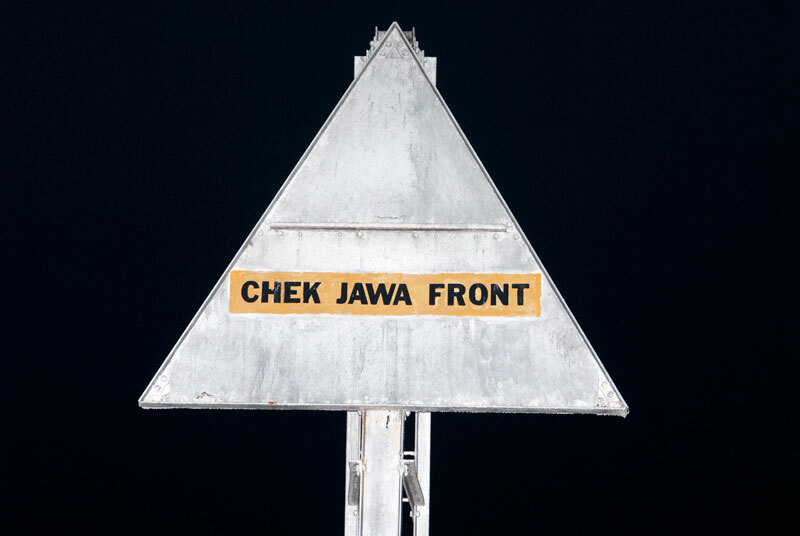 As they walk through the coastal boardwalk route, they will meet the Chek Jawa white beacon standing out there in the sea. 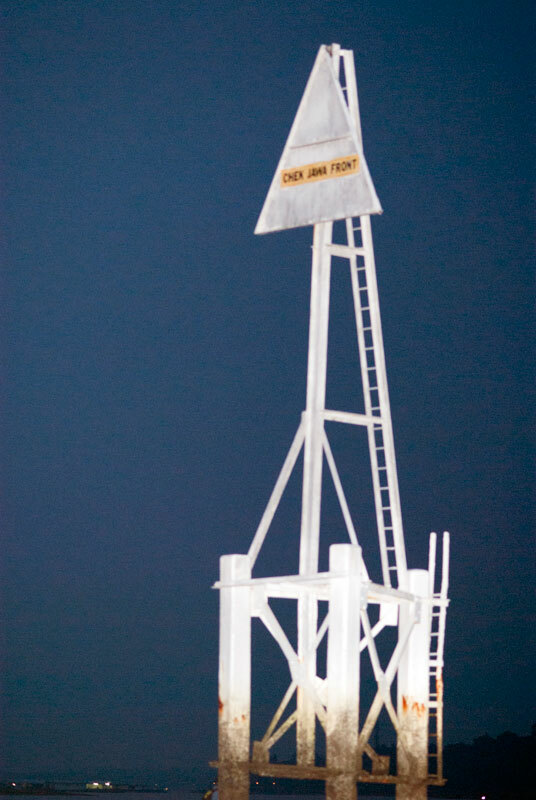 However, not many people actually know how the beacon looks like from the front. So here it is, the front image of the Chek Jawa front beacon. I was able to take a photo from the front of the Chek Jawa beacon while conducting intertidal survey at Chek Jawa. The tide was very low today and the team was able to survey a distant in front of the Chek Jawa front beacon. 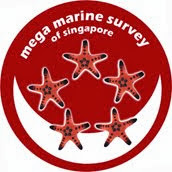 This survey is made possible with permission from NParks. Here's how the whole beacon looks like at low tide. There were 2 special highlights for me on this trip to Chek Jawa. 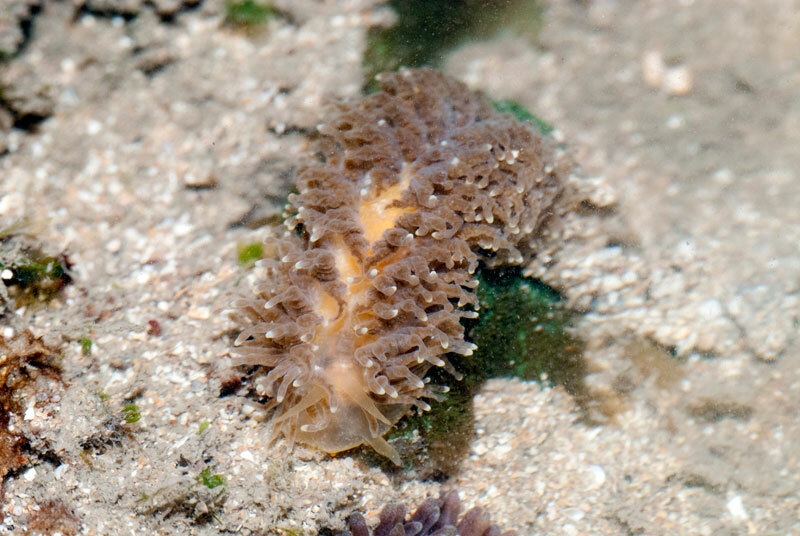 The first highlight is this nudibranch, spotted by Ria when she was looking at the lumpy patches on the pore corals (Porites sp. ), and an egg mass next to it. 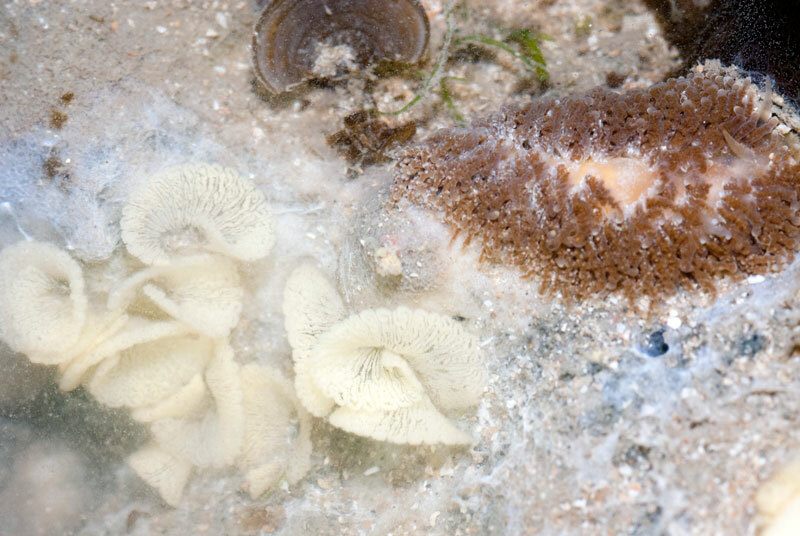 Surprising everyone who saw it, the fluffy blob near the egg mass is not a anemone but a nudibranch! 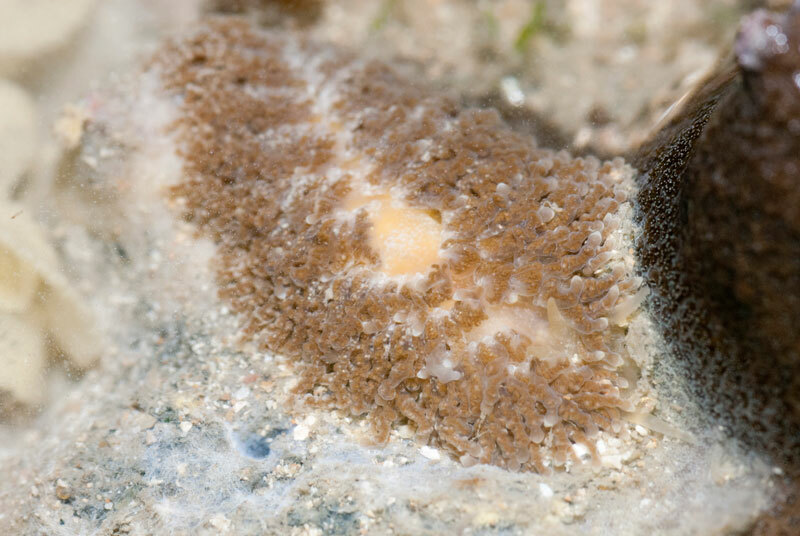 That triggered us to look for closely when we come across such patches on pore corals. There was a pair of them next to the egg mass. 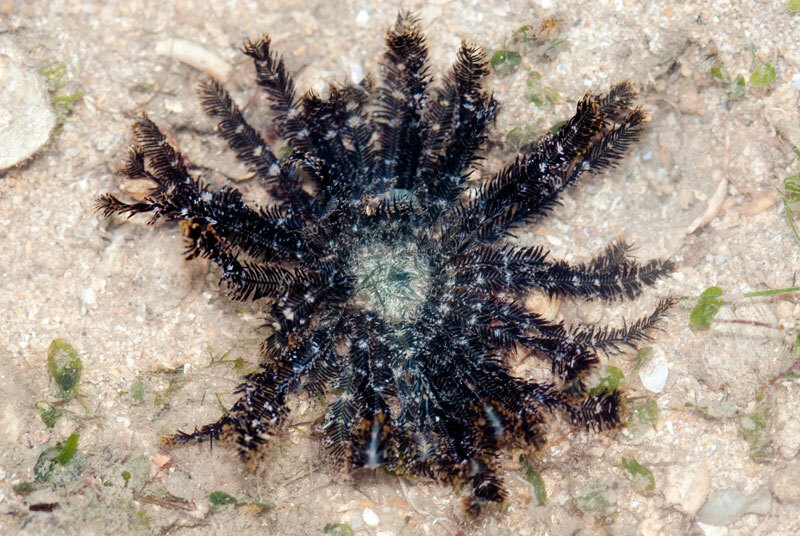 Chay Hoon has updated that this could be Phestilla lugubris and it is actually her first time seeing it. 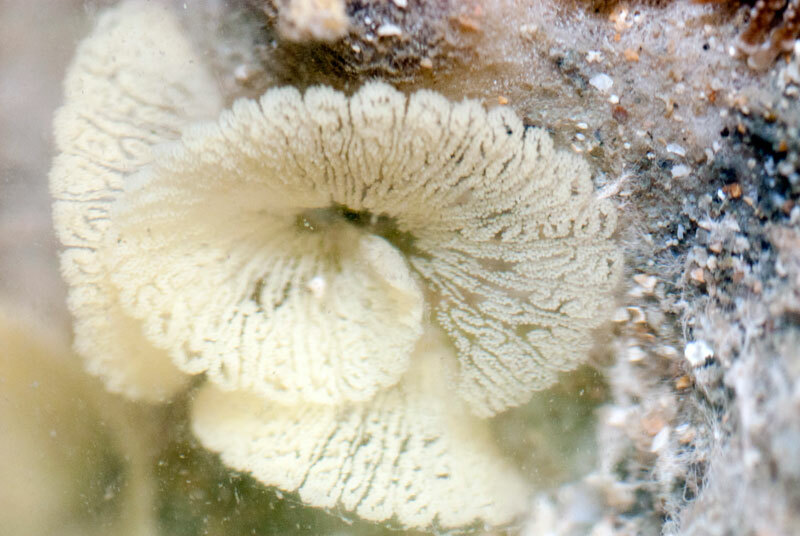 This nudibranch is actually feeding on the pore coral. We noticed that the egg mass is shaped like a pencil shaving. It has interesting patterns. 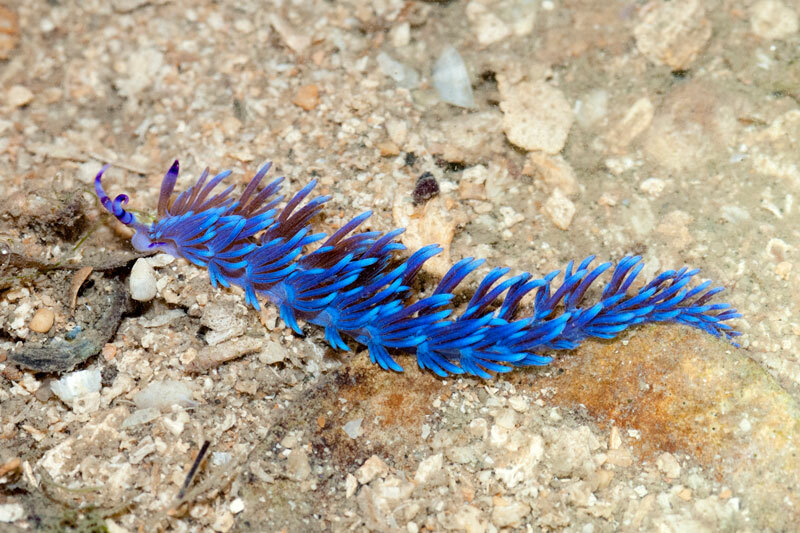 The second highlight of this trip is this blue dragon nudibranch that Marcus found. 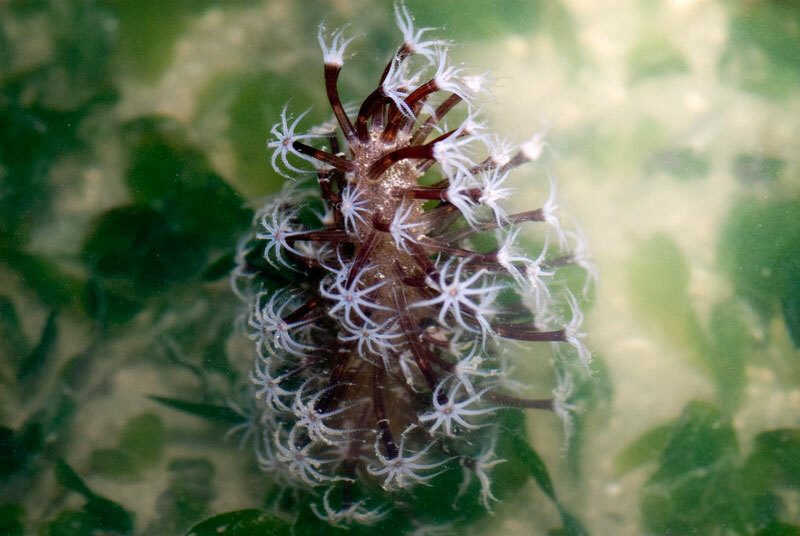 The actual identity of this nudibranch is still in debate. 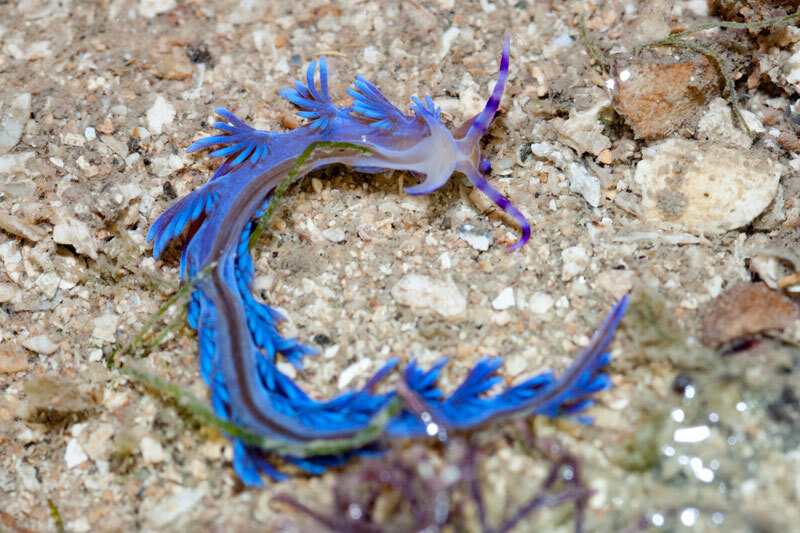 I never knew how striking the colouration of the blue dragon is until I shot it today. Divers like myself encounter his very often when diving in Singapore waters but my underwater shots have never reflected such striking colour. This totally blew me off. Starting from the eastern side of Chek Jawa brings us through a large seagrass lagoon before reaching the coral rubble area at the beacon. 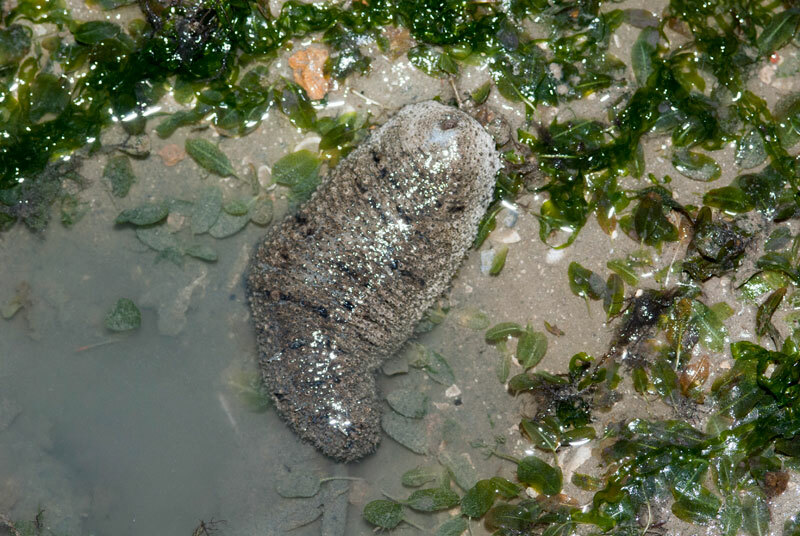 At the seagrass area, there were many interesting animals to be spotted if you look close enough, such as the plentiful garlic bread sea cucumber (Holothuria scabra). 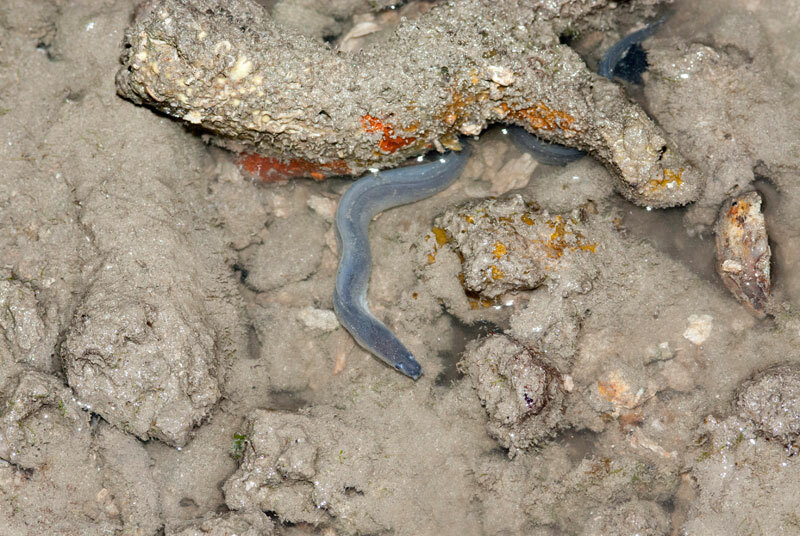 Looking at these sea cucumber sure makes me hungry on a pre-dawn trip. 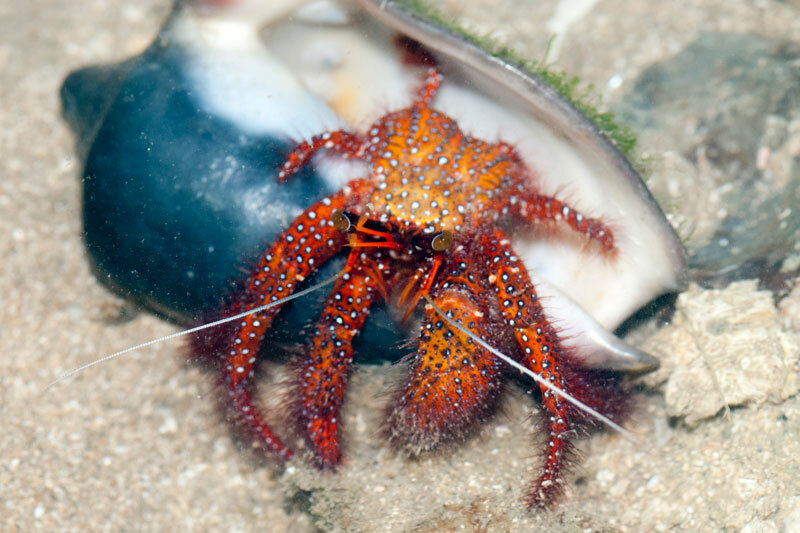 Sometimes, you may even find interesting looking tiny animals such as this crab. 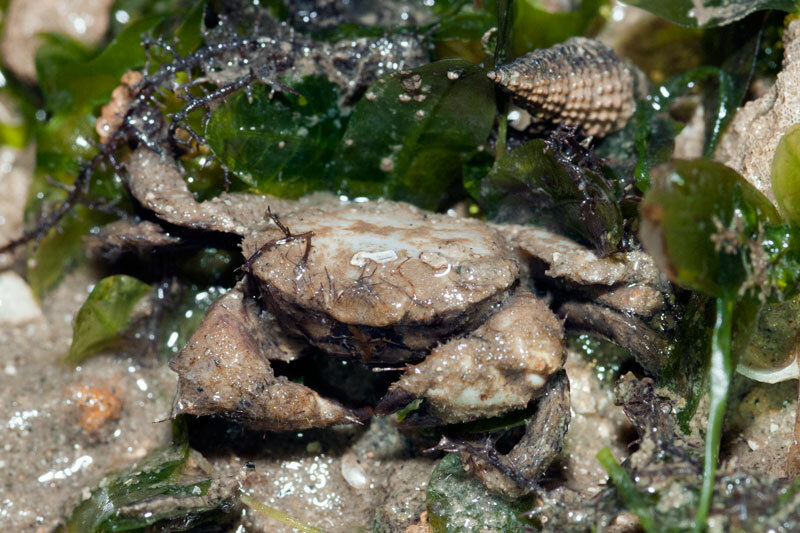 Unknown tiny crab, about 2 cm carapace. 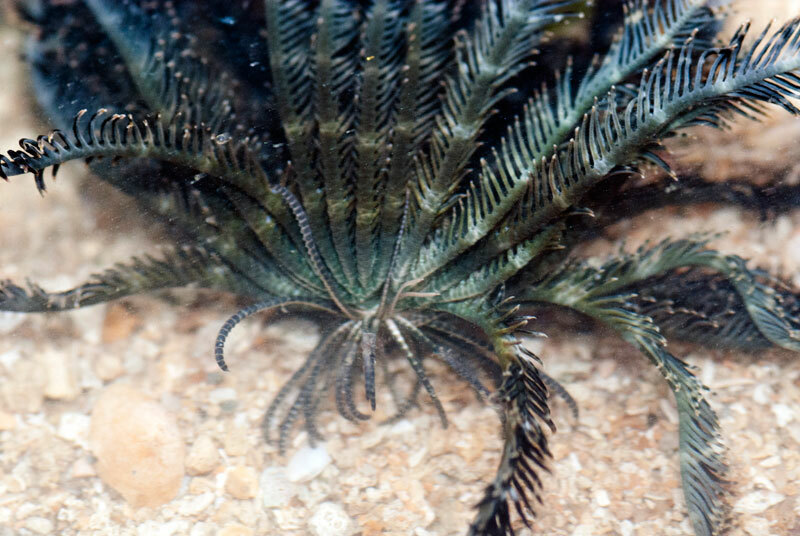 Among the seagrass, these are some of the animals I spotted. 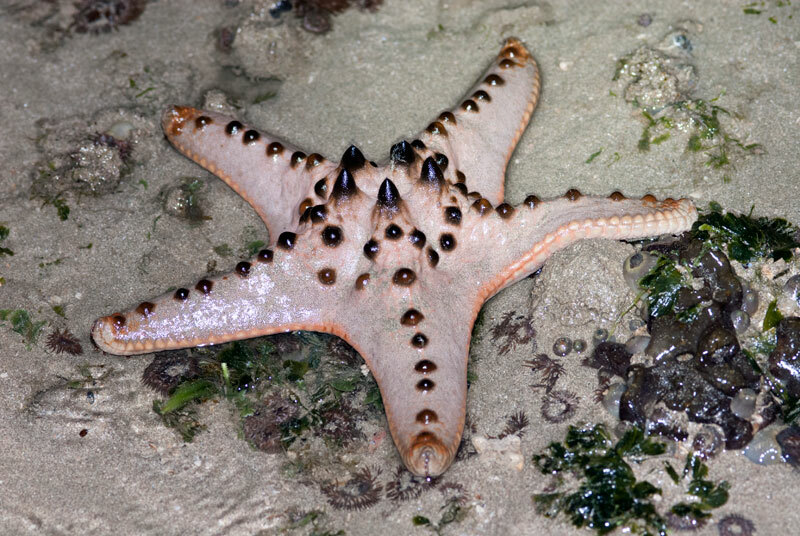 Other than the painted sand star, I came across many biscuit sea stars (Goniodiscaster scaber), in various sizes, and one large knobbly sea star (Protoreaster nodosus). 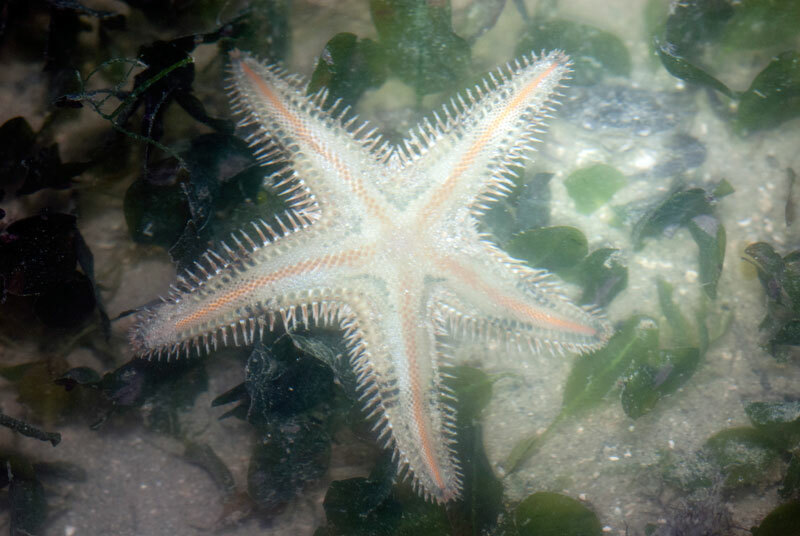 Knobbly sea star, seen near the CJ beacon. 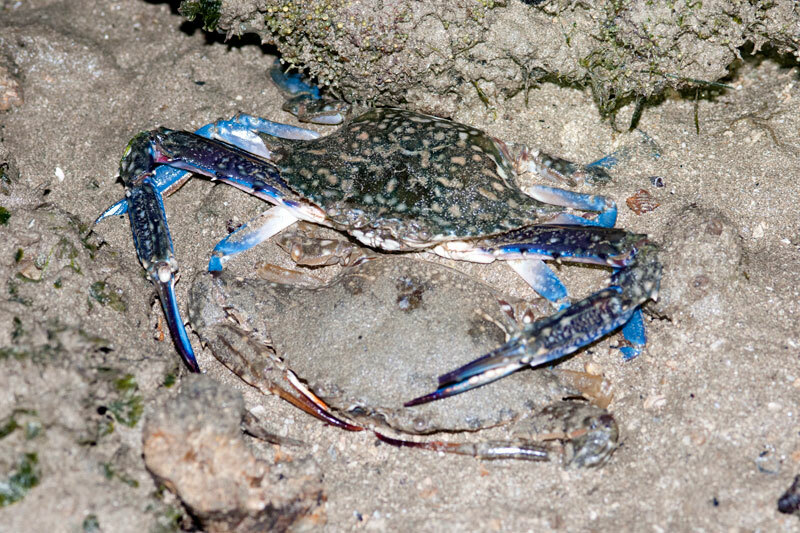 I came across a few different crabs with various behaviours. 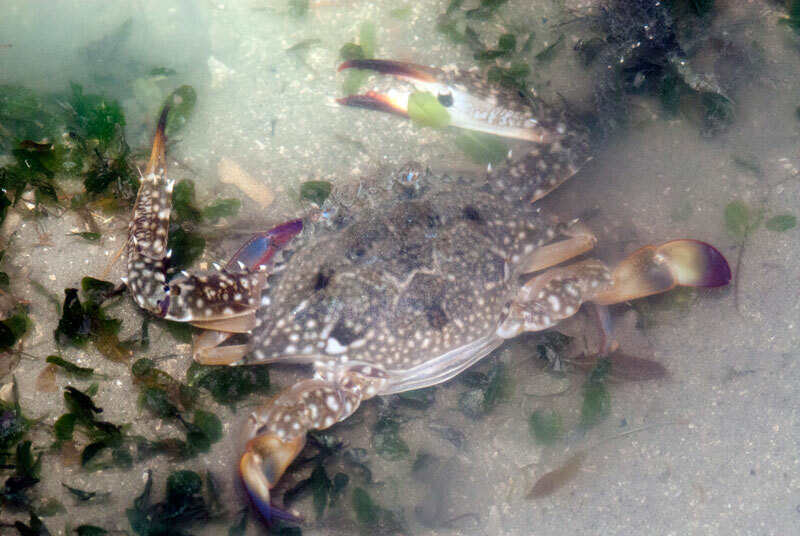 This swimming crab was using is first set of legs to do something in its mouth. I dare not disturb it. 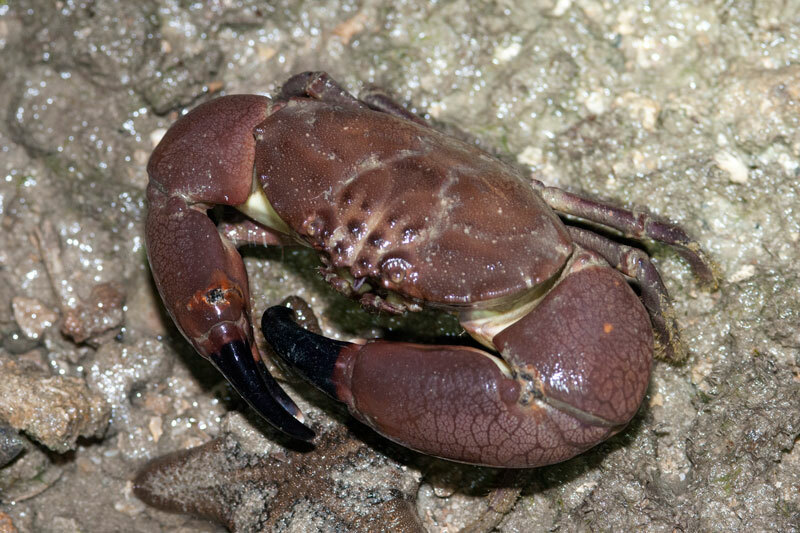 A moulted flower crab. 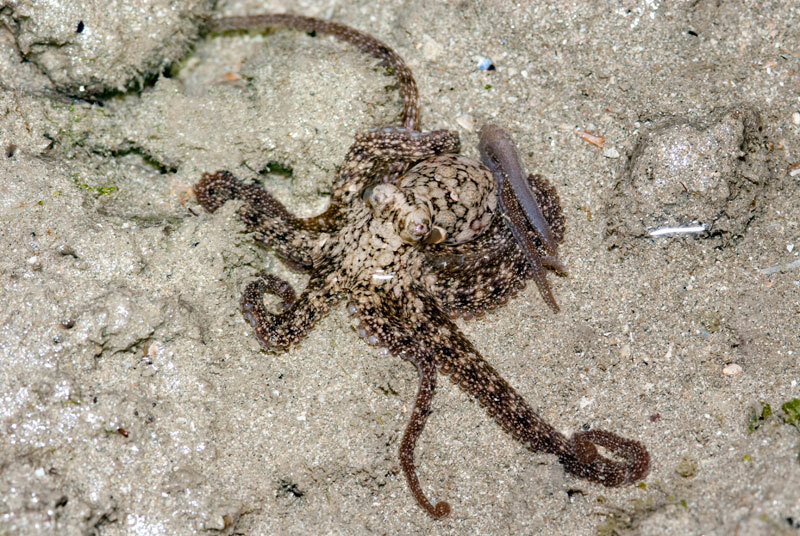 It's exoskeleton has already harden, so it has probably been staying with is old exoskeleton for quite some time. 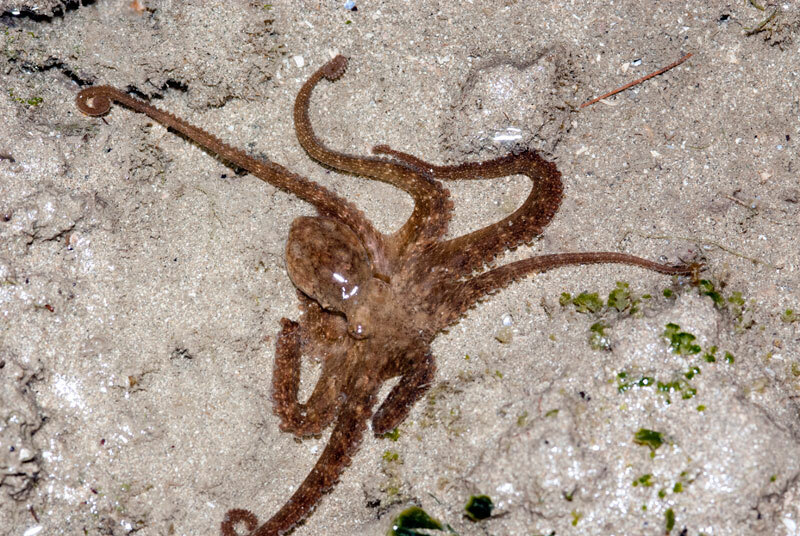 We encountered a few octopuses during our survey. Then it decided to change colour to meet me. 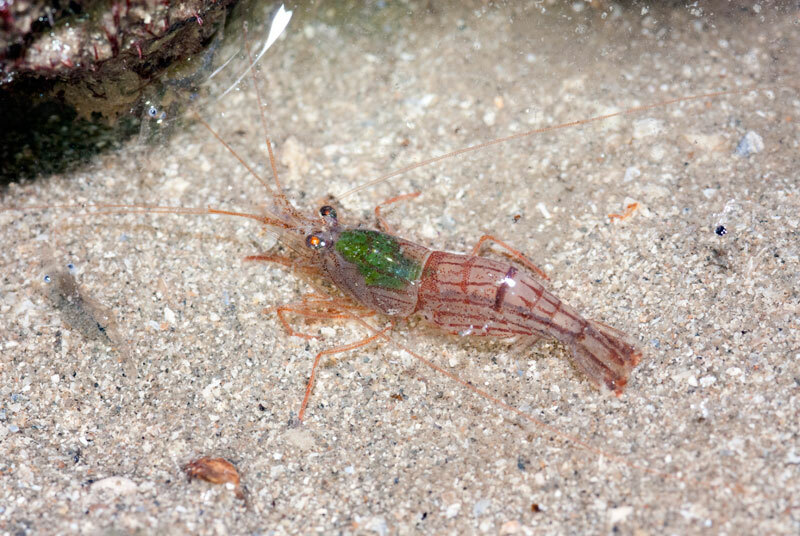 I noticed that the snapping shrimp at Chek Jawa have an interesting behaviour. 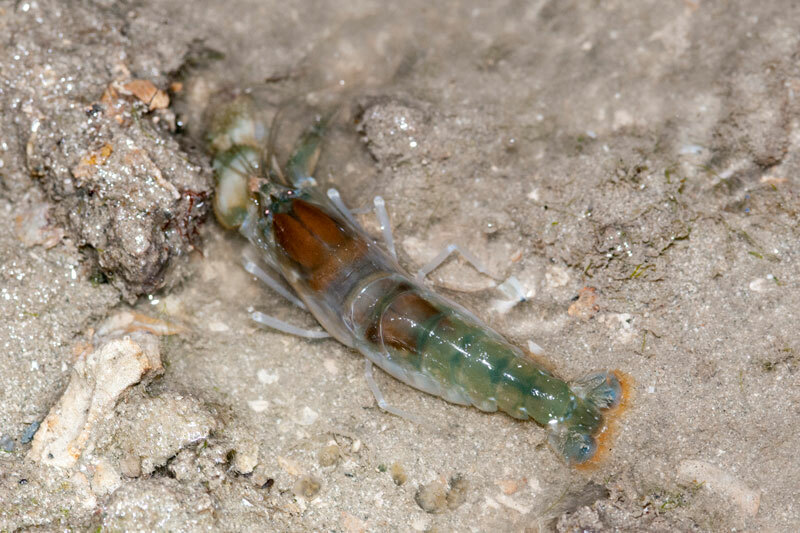 Some of the shrimps like to stay outside of their burrow for some time before returning into their burrow and they are usually seen at quite a distance from their burrows. The cleaner shrimp looks like a cooked shrimp. 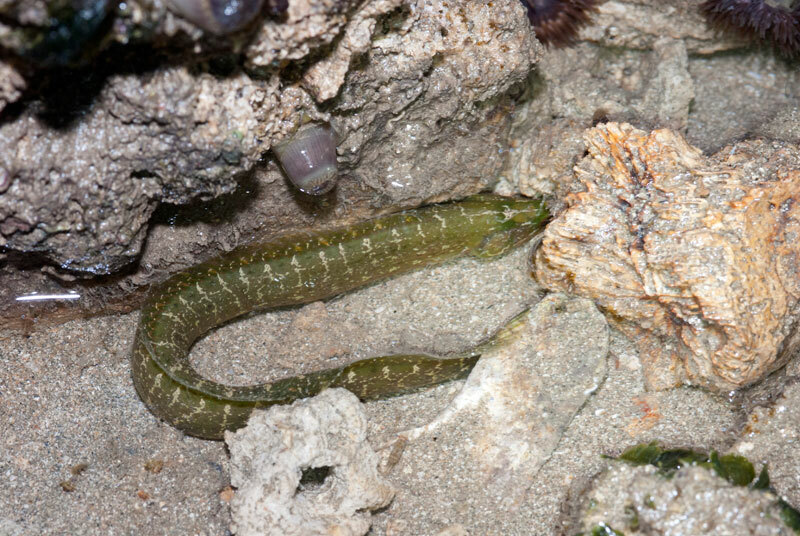 Along the water edge, as I was heading to the rubble area at the beacon, I came across a hunting estuarine moray eel (Gymnothorax tile) and a juvenile carpet eel-blenny (Congrogadus subducens). 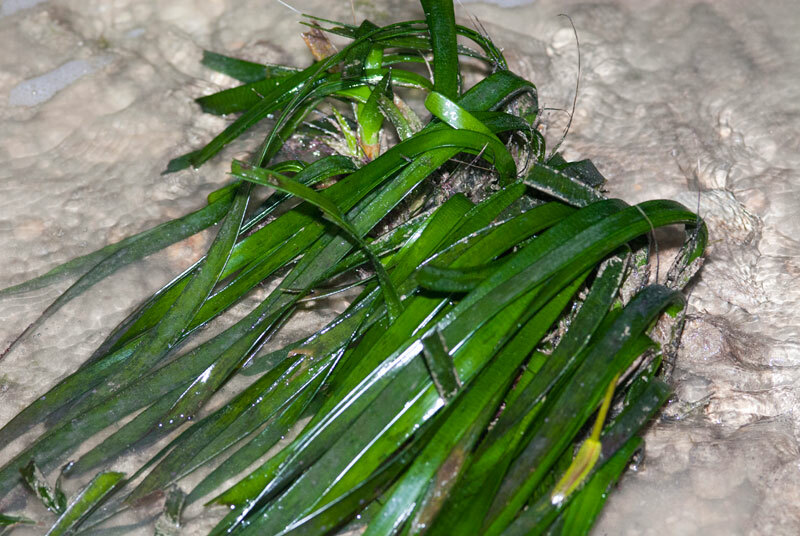 There are scattered circles of tape seagrass (Enhalus acoroides) and most of them had long grass blades. 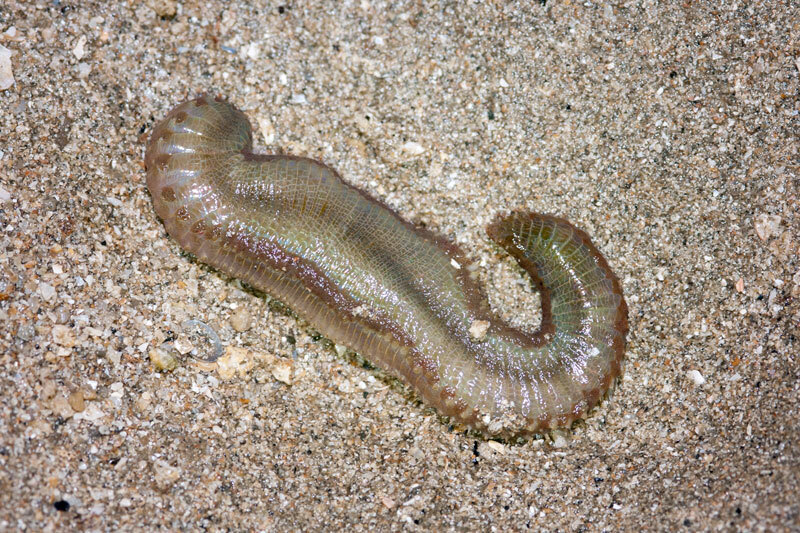 Near the CJ beacon, I spotted this squirmy animal that looks like a worm, on a dry exposed sand patch. 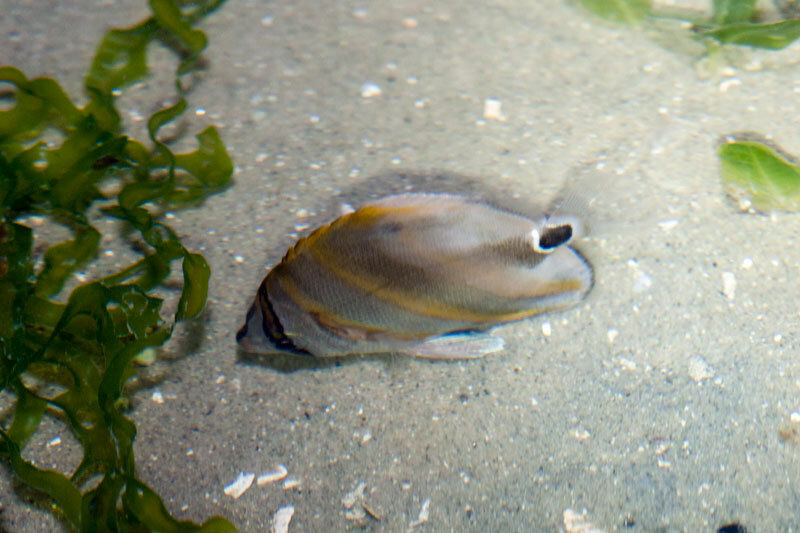 Being very careful and knowing that marine worm can cause a great amount of pain, I took a piece of coral rubble and place the animal in a pool of water. Tada! 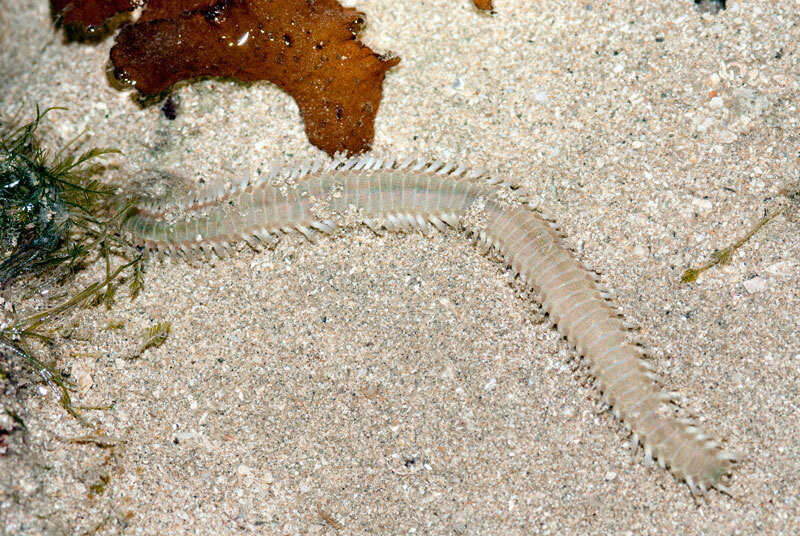 It's actually a reef bristleworm. It disappeared among the rubble shortly after I took this shot. As the sun rose and the marine animals starts to disappear, Kok Sheng came across this large spotted orange hermit crab (Dardanus megistos). Chay Hoon found the first crinoid for this trip and she got really excited on a possibly juvenile barramudi cod (aka polka dot grouper). 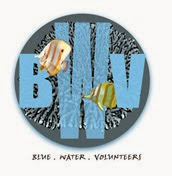 The fish could be an escapee from a fish farm. 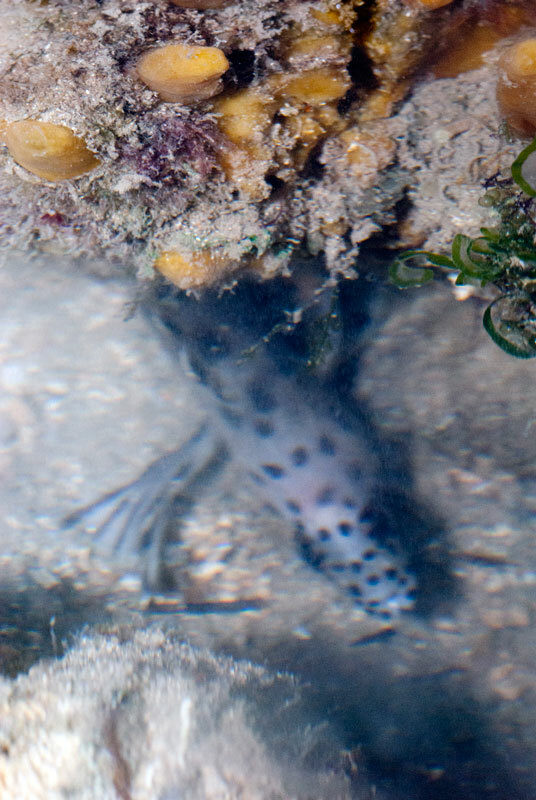 Unfortunately, the barramudi cod was very shy and I could only take a poor image of its head. Right after this shot, we made a quick walk out of the shore as the storm was approaching fast from Pasir Ris. Thank goodness that I looked up and saw the massive storm that has already hit mainland and alerted the whole team. We reached Chek Jawa's information kiosk before the strong wind and rain came. Fearing of fallen trees along the way out, we decided to stay and wait till the storm passed. Unfortunately, we did encounter a fallen tree on our way out of Chek Jawa and the fallen tree fell across the road, blocking our way to Ubin town. We had to make a detour to get back safely. Once again, thanks to NPark for the permission to survey Chek Jawa. Tomorrow, we are off to Chek Jawa's neighbour, Pulau Sekudu (Frog Island). Chay Hoon, on her FB.